Fewer leaves = less clean up = less labor! The frozen ground lets us get closer to trees, which reduces the cost of labor. We have a staff of dedicated professionals that enjoy working outdoors. Our discounted rates allow our staff to work year-round. We own a unique matting system that allows us to create and drive our equipment on a “plastic road”. This allows us to get our equipment to those hard to reach places on your property and protect your lawn from ruts. We maintain a list of properties that we work on during the winter and after the snow has melted away, we will come back and provide a final raking to ensure that any remaining debris from our winter services is removed. Schedule a consultation visit with one of our Plant Health Care Staff to inspect your trees for any disease, insect or nutrient deficiencies which could compromise the tree. Call one of our ISA Certified Arborists to complete a pre-inspection of your trees before winter weather hits. 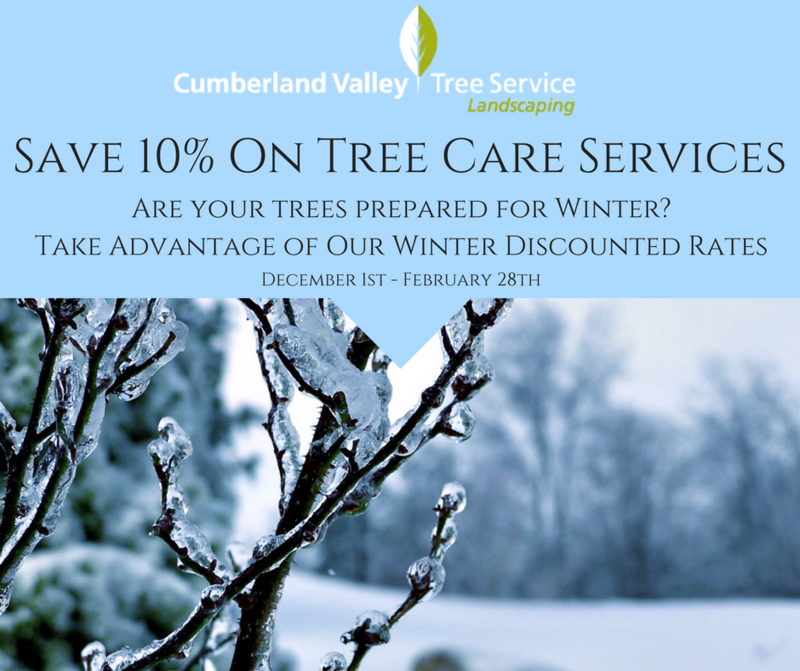 Order your recommended pruning services to improve the storm worthiness and health of your trees before wind or snow and ice accumulation are in the forecast!